That the designers certainly had service ability of their products in mind is already clear from a simple visual inspection of a radio set. One finds, e.g., screws that are surrounded by a red ring. These have to be loosened to remove a complete unit (module). If one wants to take a unit farther apart the screws marked with a blue ring have to be removed. 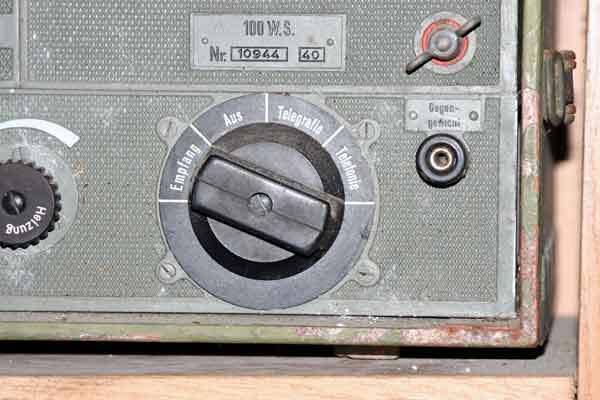 It is these details that make it a real joy to dissect a German WW II radio. 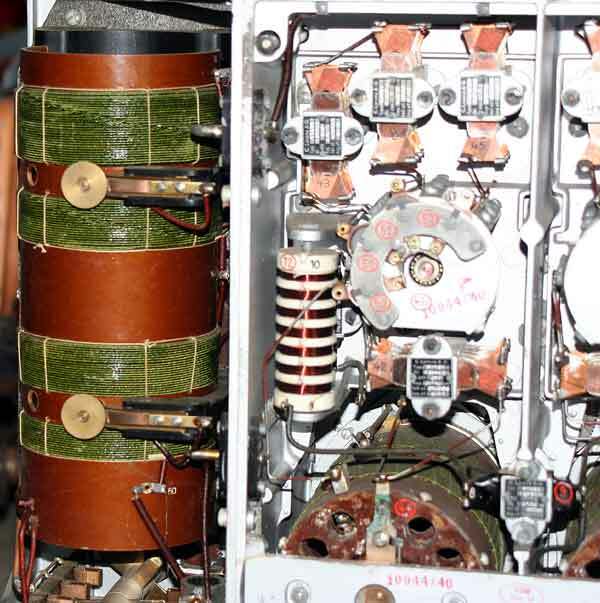 The moving parts such as gears, tuning capacitors and switches are masterpieces of mechanical engineering. 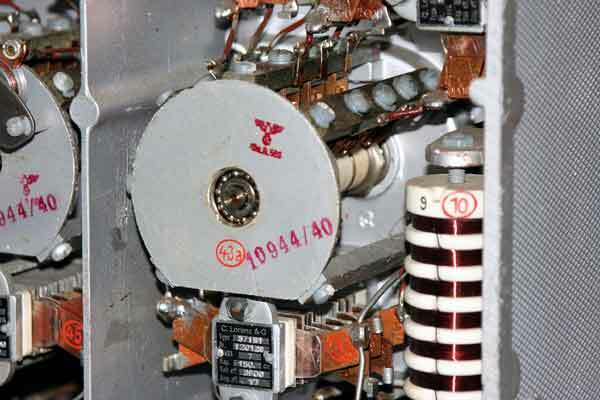 Moving a coil turret from one position to another, e.g., is done by a big solid crank and it feels like opening a safe or the door of an expensive old-time automobile. Regardless how complicated the mechanical devices, they can always be dismantled in a few seconds by loosening one or two screws. 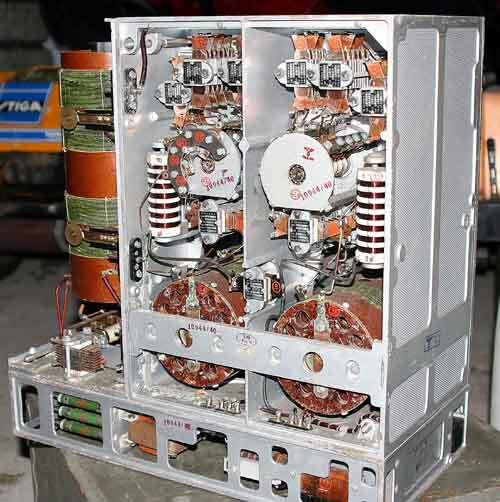 That the mechanical linkage can be complicated is evident when one realises that, e.g., variable capacitors or band switches that are ganged are sometimes found in different modules that can be easily taken out of the frame, in spite of the mechanical gears. Nevertheless the mechanisms operate with extreme precision. 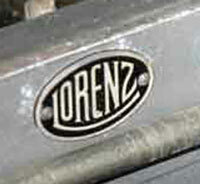 The factory name,in this case, LORENZ, on the front,was removed after 1943 on productions models. Founded in or around 1870 in Berlin, Germany by Carl Lorenz, operated for the first few years as a mechanical workshop but expanded into the manufacture of electrical machinery around 1880. Following Hr. Lorenz's death the company was bought by his co-worker Robert Held in 1890 and he expanded the company in the following years both by buying competitor Telegraphen Bauanstanlt C.F. in 1893 and by establishing branches in Germany and even in Petrograd in Russia. 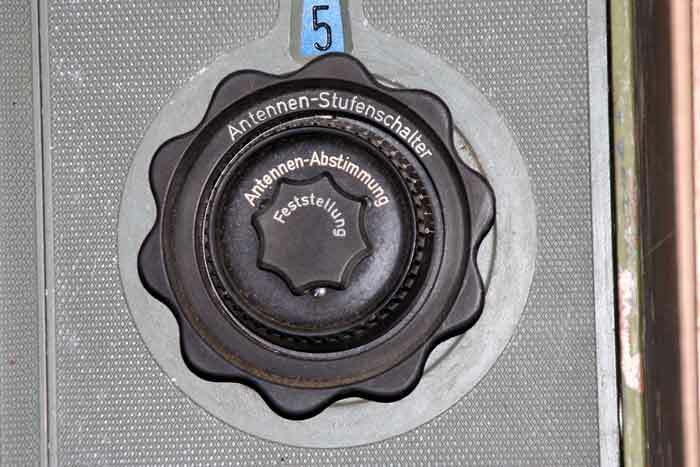 Incorporated in 1906 as C. Lorenz A.G. and during the first 2 decades of the 20'th century the company contributes to the development and manufacture of equipment relating to radio and indeed the first commercial radio broadcasts in Germany were done using a transmitter from the company in addition to the companies introduction of the radio beacon in 1907. 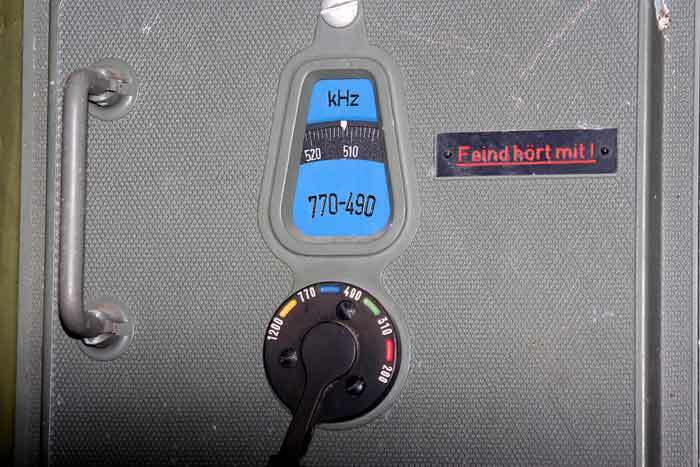 C. Lorenz AG branched into the manufacturer of radio receivers in the mid 20's and expanded further later in that decade by buying selected assets from Firma Huth and by starting OEM manufacturing of consumer radios. Bought by Standard Elektrizitätsgesellschaft in May 1930 but that company was the German branch of the USA based ITT company but operated independently. The 1930's was a very important point in the history of the company as they started to do some research into manufacturing techniques and one result of that research was the introduction of modular manufacture, prior to that electronic equipment had been either assembled by hand or mass manufactured in a similar fashion to a car, whereby a chassis goes down an assembly line and workers insert and fasten parts into the chassis or sub-chassis one person at a time. This became uneconomical the more complex the products grew since quality testing was really only possible with a finished product and when production errors where found they could often not be corrected except by partial breakdown and rebuild of the product, not a huge problem with consumer products but even in the 20's professional electronic products had become quite complex. C. Lorenz solution to this problem was to manufacture all products in a modular fashion whereby circuits with specific functions where built into die cast boxes made out of a magnesium based alloy called Elektron and then tested to a specification, the sub modules where then connected together and assembled into a finished product and received final QT, despite the added costs of the Elektron enclosures the end product was less costly to manufacture than by using normal methods due to the lower quality control costs and the introduction of standardised modules, but that where modules that had generic functions and where used in a multitude of products and could thus be mass manufactured. 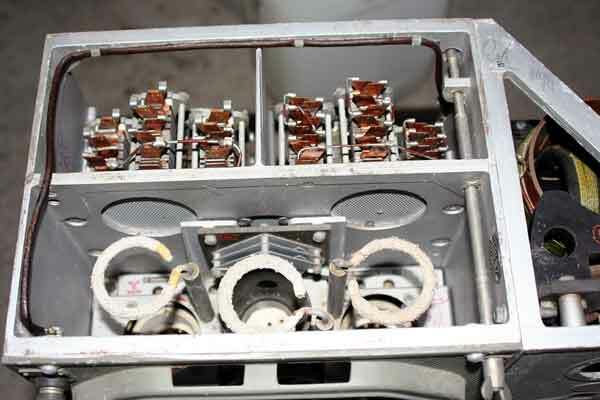 Non production related benefits of the modularised construction included faster and cheaper servicing since instead of repairing the unit by switching components you simply replaced the affected module and sent the old one back to the factory to be repaired by specialised technicians, but also the greater electromagnetic isolation. 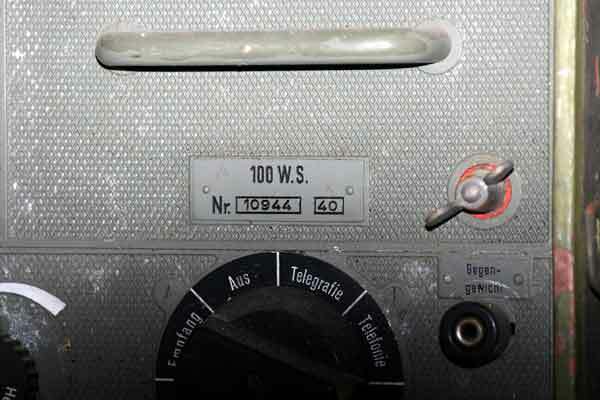 During the first 4 decades of the 20th century the company saw itself as the main competitor to Telefunken in the field of radio and related techniques the great rivalry between the companies meant that the German government sometimes felt forced to specify when giving out contracts that work could or should be shared at the least partially, but it also meant that the 2 companies had a tendency to "answer" each others product introductions, this lead for instance to the introduction of the Lorenz wire recorder, but prior to Telefunkens introduction of the Reel to Reel the company had no interest or research into that field, but it is important to realise that Lorenz was never known as a particularly adventurous company as far as products where concerned, they had advanced construction techniques but never had the range of innovative products that made arc rivals Telefunken famous and conversely Telefunken never rivalled the generic construction quality of Lorenz. After WWII the company lost it's manufacturing bases in Easter Germany and Prussia and was forced due to practical and political considerations to turn away from the manufacture of professional radio equipment even though it started manufacture of parts and components almost immediately after the year both in Berlin and in their Schaub factories in Western Germany, but due to it's USA ownership it got a permission to do so much sooner than most other German companies at the time. 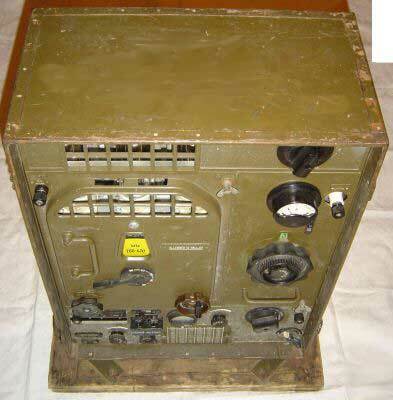 The blockade of Berlin by the Soviet occupation forces forced the company to move it's headquarters to Stuttgart and the continued loss of export markets forced them to look into entering new local markets, in 1949 it entered the manufacturing of railway control and safety equipment for instance, it also resulted in some interesting consumer products such as worlds first consumer off-line recorder which utilised technology from their pre-war Wire Recorders. 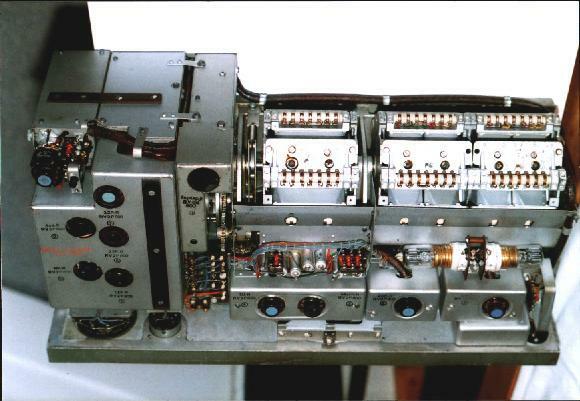 In 1958 ITT rationalised their operations in Germany by formally merging Lorenz, Schaub and Standard Elektrizitätsgesellschaft into a new company called Standard Elektric Lorenz (or SEL), with the CE related businesses belonging to a business unit called "Rundfunk, Fernsehen & Phono", that division also added ITT to their brandname soon thereafter with most products being branded ITT Schaub-Lorenz from then on. 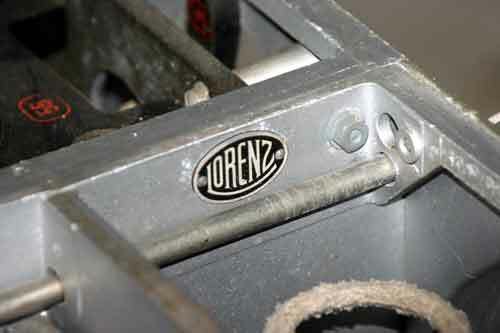 In 1961 the company took a majority controlling interest in Graetz even though that company was operated mostly independently and in 1966 the company took over the Austrian Ingelen factory and both marketed Ingelen products under the ITT Schaub-Lorenz brand and SEL products under the Ingelen brand in Austria. The RFP consumer division suffered losses in the 70's and a reorganisation in 1979 wich amongst other things resulted in the consumer division being renamed "Audio-Video-Elektronik" and the company starting to use the ITT trademark and dropping the Schaub-Lorenz part, in 1986/7 SEL who was by then an extremely diversified company as far as markets and product lines where concerned, merged with French companies Compagnie Générale d'Electricité and Alcatel with the new company being known as simply Alcatel and the German part now known as Alcatel SEL AG, the new company wanted to get out of the consumer market and for that reason it sold the AVE division to Nokia. The power requirements for this set were supplied by a 12 volt dynamotor. This provided 12 volts at 2.7 amps for the filaments and 1500 volts for the plate supply, drawing 120 ma for CW and 170 ma for voice. A light cast metal case houses the dynamotor, the starting relay and the noise filter. 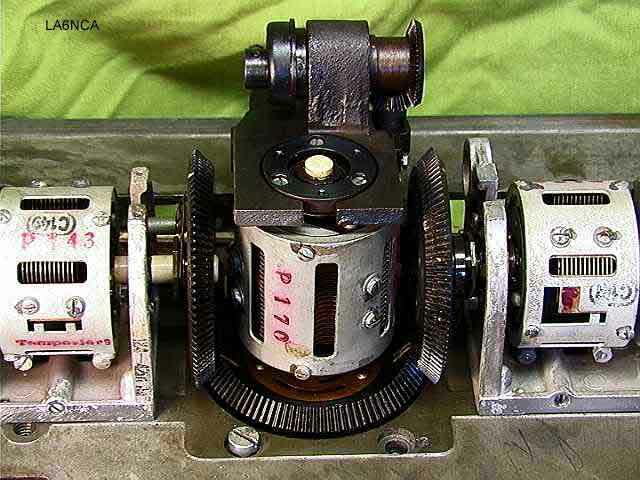 The dynamotor is held on its mount by two wing nuts on the front and can easily be removed from the mount. 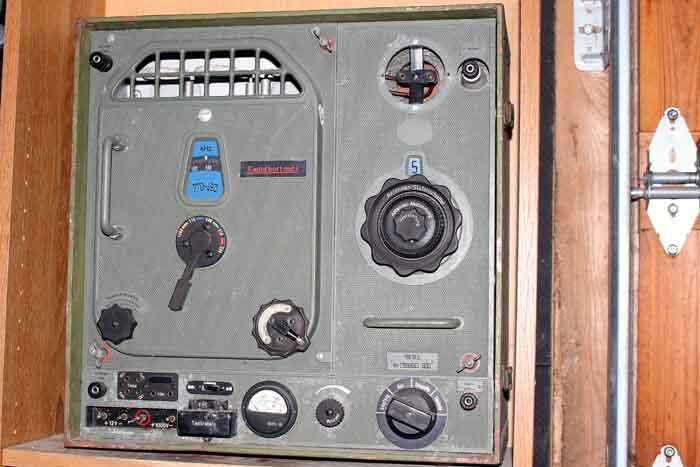 The mount has a junction box at the rear and the power cable is fed in to one side.Another power cable can be fed out from the other side and connected to another dynamotor. 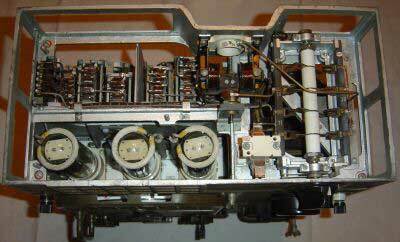 For installations with several radios, this allows for a bank of dynamotors to be operated from one battery. With the dynamotor connected to a 12 volt battery, the power cable in place, the set is ready for operation. All that remains is to connect a key or a mike. 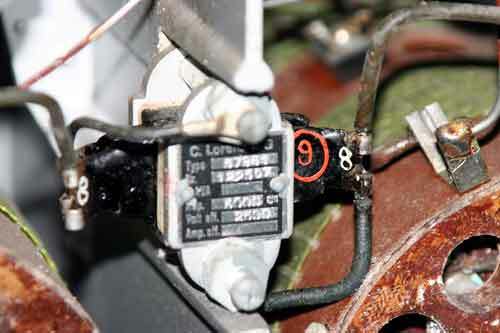 To remove the set from the case, 3 retaining screws, usually painted red or marked in red are loosened and the entire unit slides out revealing the insides. 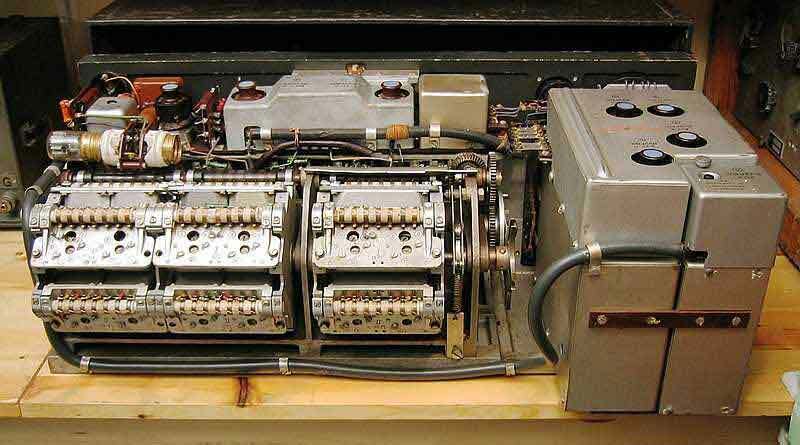 This set, like most German sets consists of a light cast metal frame with the components mounted on the front panel or on the frame. 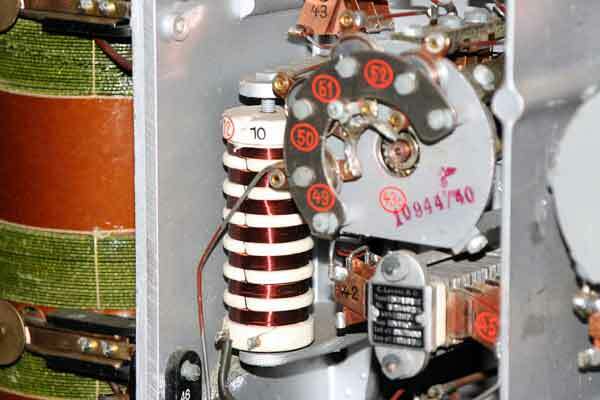 Being a transmitter, all the circuits are shielded by aluminium panels. 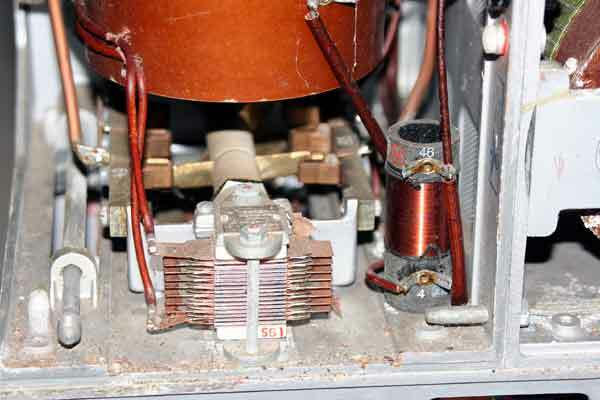 Repairs are thus limited to changing tubes or fuses. 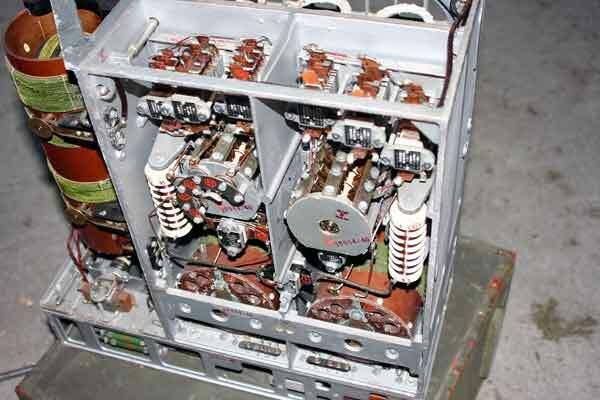 There is a panel which mounts three spare fuses for the set. 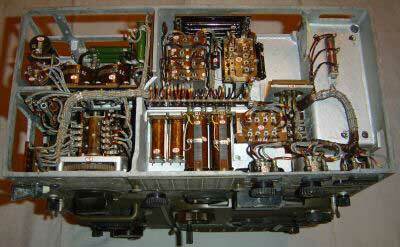 Any repair requiring new capacitors or resistors, etc would require evacuation to a repair facility and removal of the various panels. 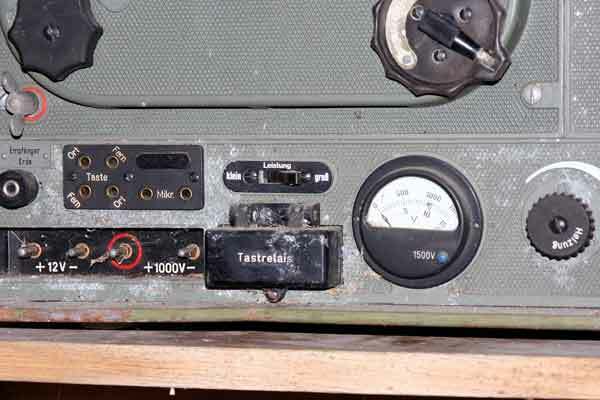 The panel with the spare fuses also has a panel with test points so that a voltmeter can be used to check the voltages with the set in various stages of operation. 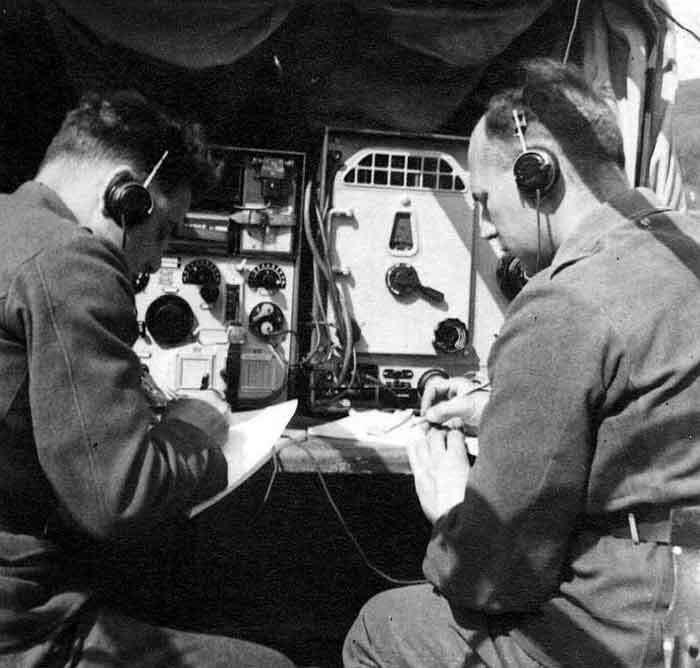 It's very interesting that the German scout and command vehicle set-ups included low medium wave equipment in the MWEc receiver and the100W.S and 80W.S. 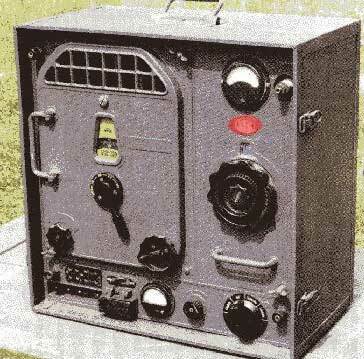 this equipment was carried in addition to the more generally distributed low-vhf equipment of the UKW series, ( UKW = Ultra Kurzwelle = ultrashort wave ) with its shorter range of less than 5 miles.The apparent logic was to provide a stronger ground wave signal which would follow the lay of the land better, over hilly country, for example. of course in motion this was fairly impractical to operate with a standard antenna, so when you see photos of German scout cars you will see what is called a "frame antenna" around the top deck, which looks rather like a handrail. 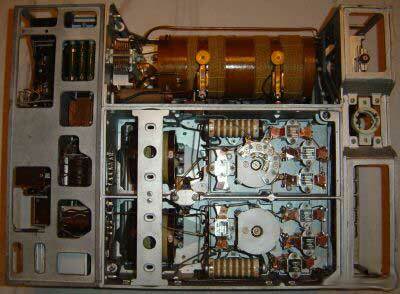 This transmitter from Lorentz A.G Germany,working from 220khz to 1.2Mhz. 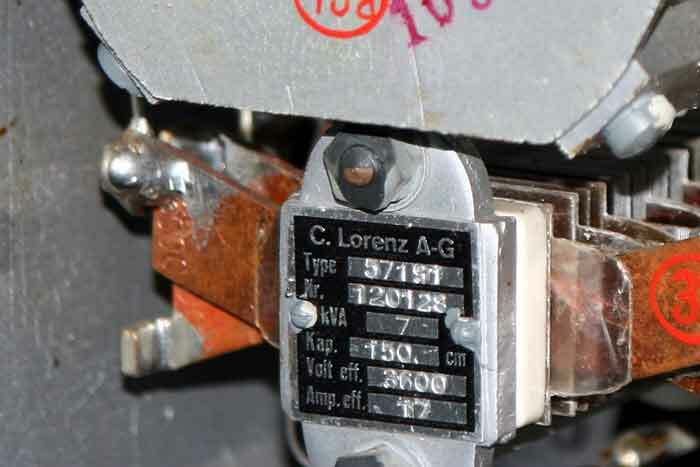 Filament power 12vDc and plate voltage 1000v to the end tube.It is possible to transmit on CW and phone.In the bottom it is a high-voltage meter (1500v) and on the top a antenna current meter (adjustment).This meter is absence on this surplus unit.The same with the tubes.